Ottawa, ON– On May 10th, the Hon. 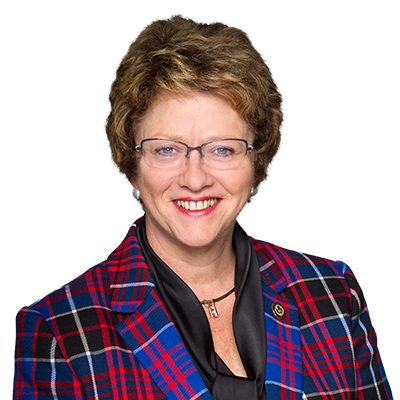 Diane Finley, MP for Haldimand-Norfolk, rose in the House to express her concerns about the Government’s plan to move forward with the legalization of marijuana without a plan to address impaired driving. In April 2017 the Liberal Government introduced Bill C-45, which would legalize cannabis, as well as Bill C-46 which would provide additional tools to law enforcement and enhance Canada’s impaired driving laws in an effort to keep Canada’s roads safe once cannabis was legalized. “With Bill C-45 about to become law and still no plan to assist our law enforcement in addressing impaired drivers, will the Minister delay implementing the law until our law enforcement has the adequate tools to protect Canadians,” asked Ms. Finley. Instead of agreeing to a common-sense solution, the Trudeau Liberals argued that the criminal code already outlaws driving under the influence. “If adequate laws already exist, then why did this Liberal government say they needed new laws and introduced Bill C-46?” asked Ms. Finley. Bill C-46 would make various amendments to the current impaired driving laws. This included giving law enforcement officers the authority to demand a bodily substance for analysis of a driver they suspect to be under the influence of marijuana. While Bill C-45 is expected to soon become law, Bill C-46 has been stuck in the Senate and is not expected to be implemented before the summer. Today, I rose in the House of Commons to ask the Trudeau Liberals how they are going to protect Canadians on the road. The legalization of marijuana brings new law enforcement challenges and new insecurities to Canadian drivers. While Ralph Goodale says that there are already laws in place, I couldn’t help but wonder that if they are adequate, why did the Minister of Justice promise new ones? Our Conservative Caucus will always put the safety and security of Canadians first. This Liberal government needs to delay the legalization of marijuana until adequate drug-impaired driving laws are in effect and our police are given the tools to conduct a roadside test for cannabis use. Justin Trudeau seems more concerned with legalizing a substance that impairs people than about keeping impaired people off the road, putting Canadian motorists and their families at risk.